I recently wrote about about how the Arizona Immigration Law Affects Law Enforcement. 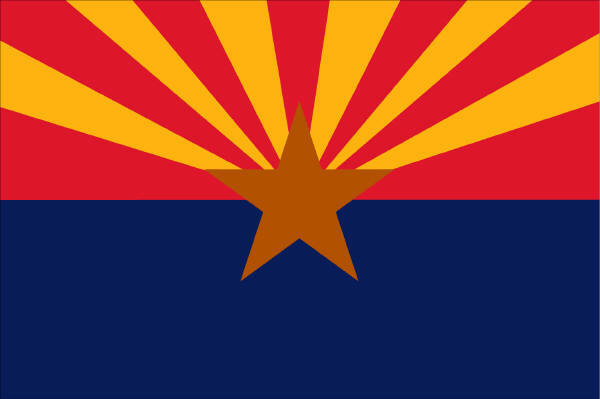 It's a month later and the law in Arizona is still causing a lot of debate and discussion. There are people wanting to boycott Arizona and who believe that Arizona is full of racists. To watch television, a person would think that the law has police officers doing massive sweeps and grabbing anyone with brown skin and sending them to Mexico. It brings up visions of the Japanese internment camps during World War II, when whole Japanese families were placed confined and kept in camps just because of their ethnicity. I did something crazy. I went to the source. I went to the Arizona State Legislature website and read the bill myself. The first paragraph describes what the intent of the bill is "compelling interest in the cooperative enforcement of federal immigration laws throughout all of Arizona. " The rest of the bill is divided into 12 different sections. The first one is "cooperation and assistance in enforcement of immigration laws." It basically forbids any official or agency from limiting or restricting the enforcement of Federal immigration laws. Section 2 makes it a state law to violate Federal Immigration Laws. It states that immigration status shall be determined by either a law enforcement officers authorized by the federal government or one communicating with the federal government. The next section makes it illegal to smuggle humans. Section five makes it illegal for a vehicle to stop in the road to stop and pick up someone in order to hire them and for anyone to get into a vehicle for employment. Next, we see where it's illegal for anyone to transport, harbor, conceal, move, transport or shield any illegal alien. This section also allows for vehicles used to transport illegals to be impounded. The next two sections of the law makes it illegal for employers to hire unauthorized aliens and puts in place procedures for complaints to be investigated and allows for the suspension of business licenses to companies that do hire illegal aliens. Section eight requires employers to verify the eligibility of employees through an e-verify system. The next section requires an officer to tow a vehicle that is driven by someone's who driving privilege is suspended, revoked or had never had a driver's license unless it's an employers vehicle, it's an emergency or the person's spouse, who is legally licensed, is present and can drive the vehicle. Section 10 establishes a fund for Gang and Immigration Intelligence team and one after that basically says that if one section of the law is found invalid the rest of the law is not invalid. The final section simply gives a name to the act. I encourage you to read the law for yourself. But it seems to me that most of these sections are things that people expect from law enforcement. I'm still a believer that there is a need for immigration reform in the United States but after reading this bill, I don't think I can criticize it, especially, not living in Arizona and not seeing for myself what law enforcement has to deal with.